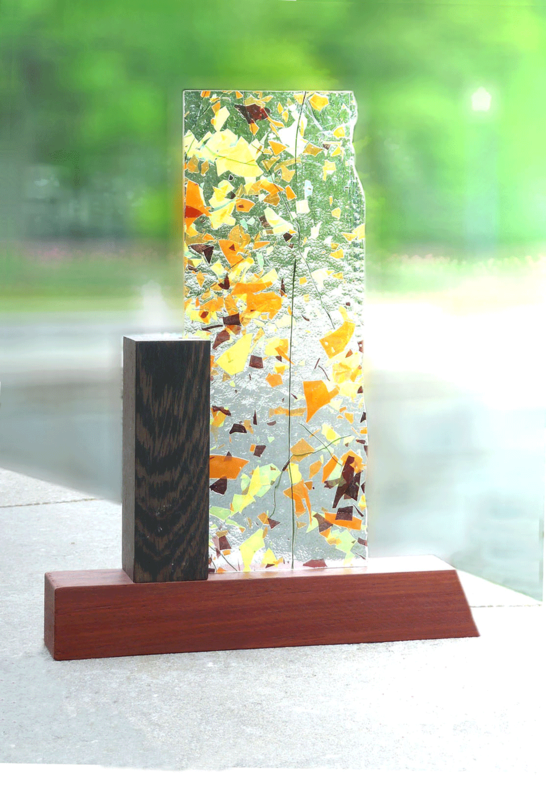 Beautifully standing with strength and distinction, this glass piece was designed with strength in mind. The specially selected wood, imported from Africa, serves as a base for elegance, simplicity and continuity. The light that shines through the glass creates movement – reaching for the top. It’s absolutely magnificient.